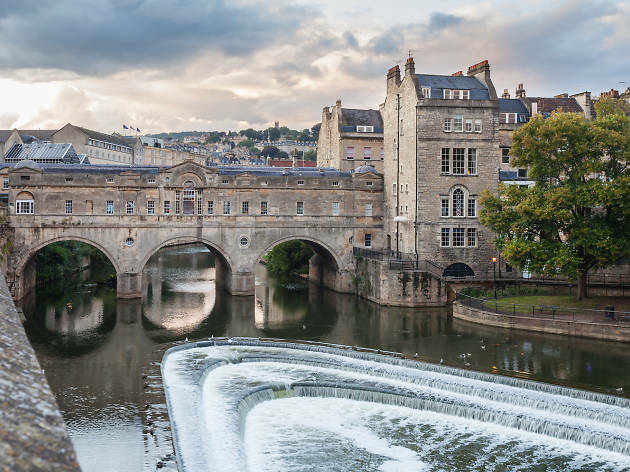 One of the most beautiful cities in the whole of the UK, with a rich and varied history stretching back thousands of years, it’s easy to see why Bath welcomes hundreds of thousands of visitors every year. If you’re heading out to the West Country and are on the look out for the best things to do in Bath this list will definitely help. 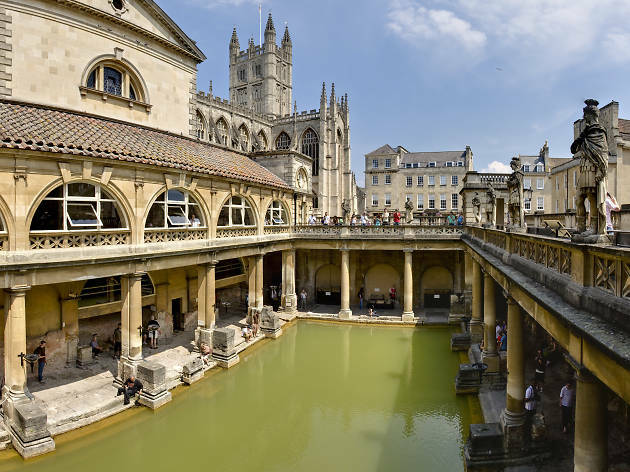 First established by the Romans who built temples around the hot springs here in 76BC, Bath has been welcoming weekenders for almost 2,000 years. This pretty spa town is oozing with history, from the Roman baths (of course) to its grand Georgian houses, parks and sweeping crescents, timeless attractions and Victorian gothic structures. 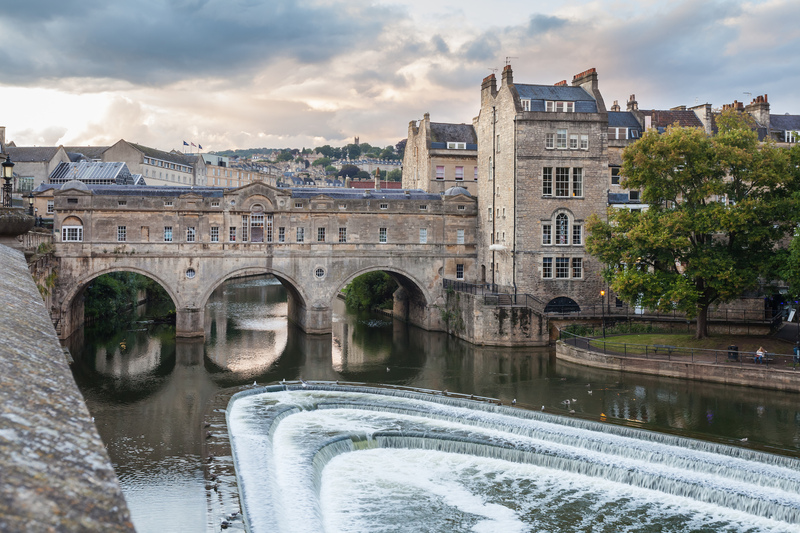 Bath’s natural hot springs are what the city is most famous for, but it also has a fantastic cultural scene, with plenty of theatre, music, comedy, art and more. Oh, and something known as the Sally Lunn bun. 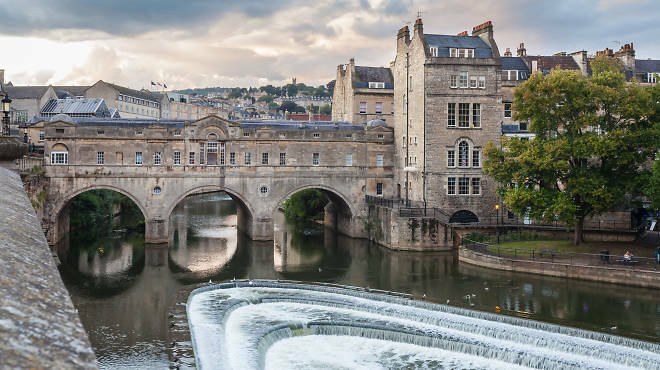 Start your Bath journey now with our selection of helpful highlights and great things to do. If you're a craft beer lover, you'll find plenty of very happy drinking in Bath. The folk round here are fond of a native brew, with many of the pubs stocking locals like Electric Bear, Bath Ales and Abbey Ales (the oldest brewery in town, don’tcha know). And let's not forget the West Country's most revered tipple and the apples that go into it, good old British cider, too. 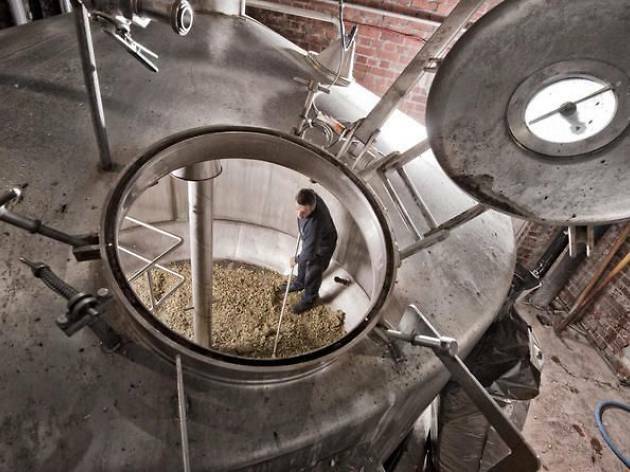 So while you’re here, go straight to the source and learn the art of crafting a beautiful brew. Wadworth’s Victorian tower brewery is a particular highlight. Despite the fact that Bath isn't that big, there's plenty to see and do. In fact, fitting all of Bath's offerings into a single day trip would probably be impossible. Instead, wander around the city and take in the breathtaking sights at a more leisurely pace, making sure to look out for the big-hitters (the Royal Crescent and the Roman Baths are a must-see) as well as other picturesque locations such as the lush Prior Park. Since you'll be spending all day on your feet, don't forget to refuel at one of Bath's best foodie spots, and if you start to get tired (or short on time) take it a little easier by grabbing a ticket for the hop-on-hop-off tour buses. 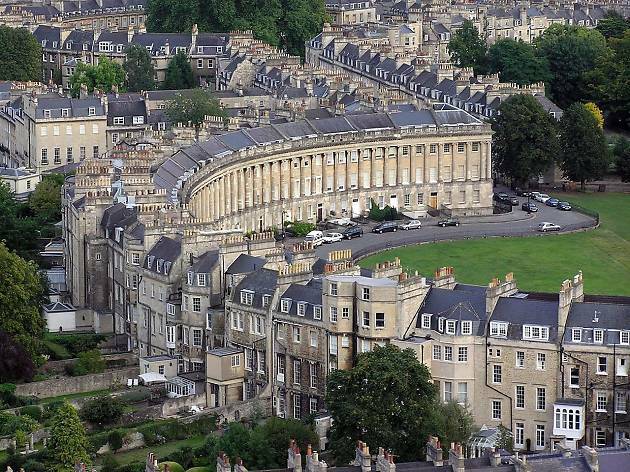 If you think Bath looks pretty in pictures, you should see it from the sky! 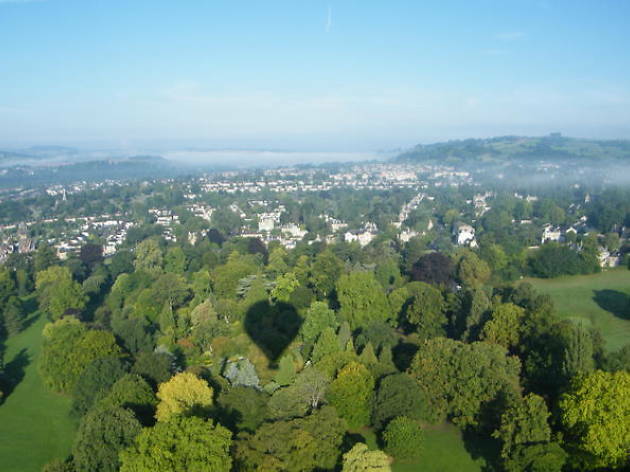 Weather permitting, those with a head for heights can get a unique perspective of the city on a hot air balloon ride. Blimps take off at dusk or dawn, when the city is at its most atmospheric. You can even enjoy the beautiful Somerset countryside with a cheeky bit of bubbly while taking in Bath’s many landmarks from a totally different point of view. Forget the blockbuster productions, this fringe theatre located in an old church hall in Larkhall is the place for a show with real charm and intimacy. Rondo is just a short jaunt from the city centre. 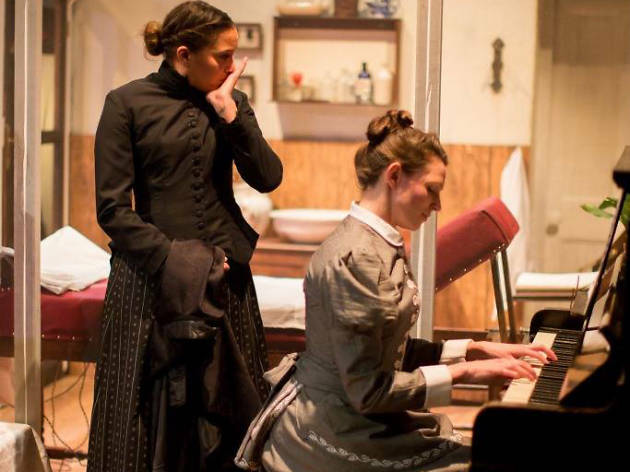 Here you'll find independent productions, as well as touring shows, plus performances from the resident community theatre group Rondo Theatre Company, which has been going since 1953. On top of that, there's regular shows from comedians, circus acts and much more – this really is a great little venue. 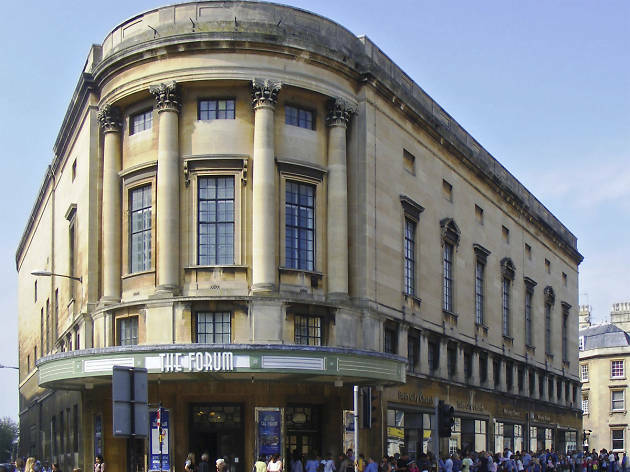 The Bath Forum is a beautiful, Grade II-listed old cinema, which first opened its doors in May 1934, but that now offers up its stage to major touring bands, tribute acts, comedians and musicals. The interior is still decked out with gold-leaf flourishes and wooden fixtures and the 1,600 iconic green seats make this Bath's biggest venue. The Beatles, Paloma Faith and Jamie Cullum have all step foot in here, and, since 1988, The Forum has also been home to Bath City Church. The little sister of Brighton's Komedia is situated in Bath's Grade I-listed Beau Nash House - and you only need to glance at the venue's awards to know you're in for a good time. 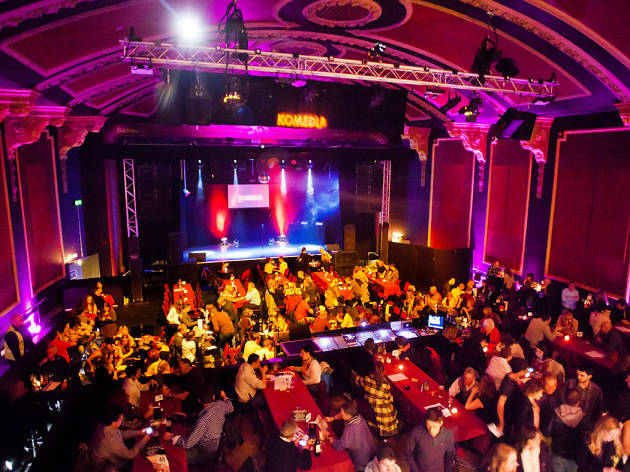 Firstly, Komedia has won the Chortle Award for Best Venue in the West and Wales a staggering five times and even its kitchen has got in on the prize action, being awarded Gold at the Taste of the West Awards. Plus, not only is Komedia great if you're up for a giggle, but you can also catch various other events, such as live music, club nights, film and even burlesque. Once you've laughed until your belly aches, retire to the on-site Arts cafe where you can grab a coffee and a delicious lunch made with local ingredients. Slow cooked apple and chilli marinated lamb shoulder flatbread? Tasty. Julius Caesar famously thought that Britannia wasn't worth fighting for, but his successor Claudius certainly did. If it wasn't for Claudius's army conquering the south of England in 47 AD, we wouldn't have had roads, sewage systems and London – not as early as we did, anyway. We also wouldn't have had the Bath spas. It was the Romans who unearthed the hot springs here and built some astounding structures within which to house them. The omcredobly well preserved Roman Baths in the centre of town are a sparkling example of the legacy left all those years ago. After the Romans had their way and were long consigned to history, it was the Georgians that took a real liking to this spa town during the eighteenth century and built much of the city you see today. It was the Georgians that liberally used the famous yellow Bath limestone to construct elaborate and ornate buildings here, including Circus (a circle of large townhouses), the Assembly Rooms (where you'll find the Fashion Museum) and the Pump Rooms. A shouldn't-miss highlight is Royal Crescent, a curved row of 30 Georgian terraces, adorned with 114 Ionic columns and Palladian mouldings, with a ha-ha wall outside. All those Sunday Evening period dramas owe a massive debt to one particular author, one-time Bath resident Jane Austen. 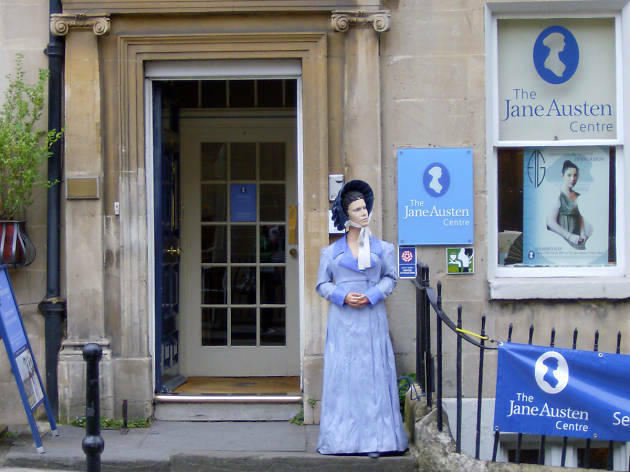 Located in an original Georgian townhouse, the Jane Austin Centre allows visitors to trace Austen's story, with help from costumed actors, who have the details on everything worth knowing about the late author's life in Bath during the early nineteenth century. While you're here, you can also enjoy a cuppa in the Regency Tea Room and bag a momento of your trip from the giftshop. 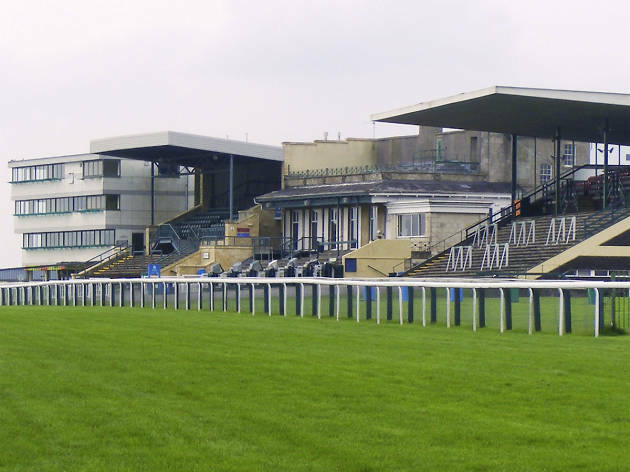 Have a flutter on the horses at Bath's old racecourse at Landsdown Hill. It's about a 20-minute drive from Bath Spa station by taxi and people have been making their way here for over 200 hundred years, since the first annual meet-up was held in 1811. Thesedays, there are about 30 fixtures a year, plus other special events such as beer and cider festivals, half marathons and wedding fairs. Facilities include a canopy-covered roof garden and fine dining in the Royal Crescent Suite, which has a great view of the track below. Bath's Fashion Museum is located down in the basement of The Assembly Rooms. 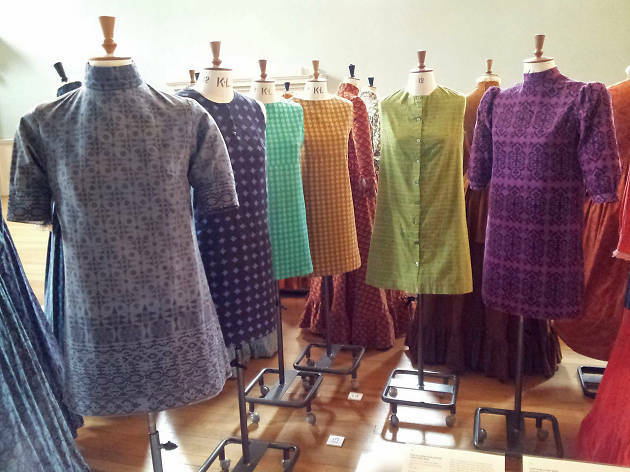 Originally opened by designer Doris Langley Moore in the 1960s to showcase her collection of costumes – in what was then known as the Museum of Costume – this much loved little fashion haven now tells the story of what we've worn over the last couple of hundred years. From Georgian silk shoes to Nike Airs, a wander round here is a colourful and fascinating journey through fabric and form. The Sally Lunn bun. Mean anything to you? Well, it will once you've visited to the oldest house in Bath, other wise known as Sally Lunn's. This little tea room and restaurant is famed for birthing a certain kind of hybrid teacake that's part bread bun, part cake and much loved here in Bath. 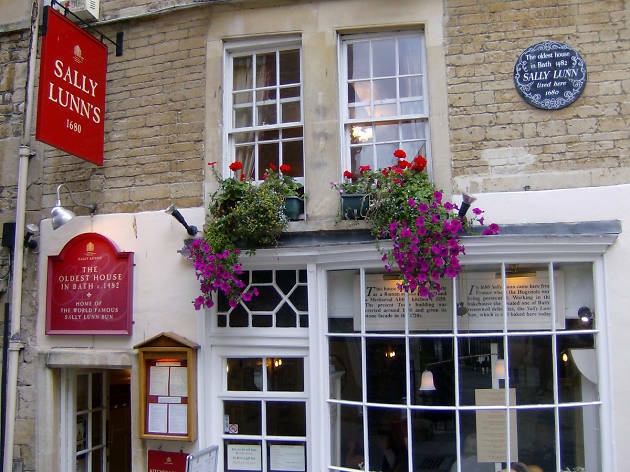 Sally Lunn's is open from breakfast through to dinner, serving regional dishes, including the 'trencher dinner', which comes with the traditional trencher bread that people used to use as plates many hundreds of years ago. South of Bath Spa station is the eighteenth-century, wonderfully landscaped Prior Park. Originally founded by entrepreneur Ralph Allen, the park is now run and lovingly maintained by the National Trust. 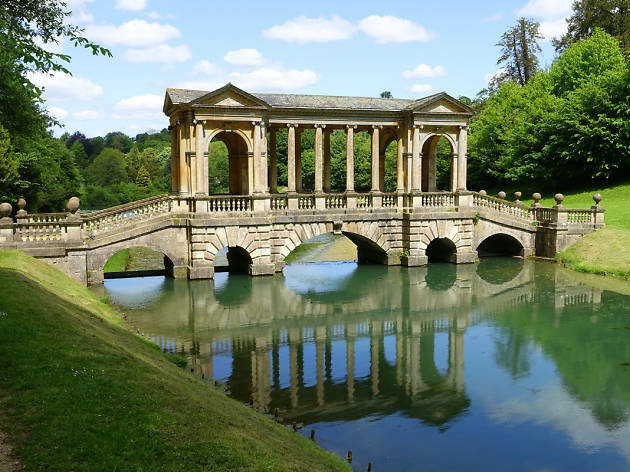 The Palladian bridge is the park's most striking landmark and is one of only four to exist in the world. There's also a gothic temple and an ice house that was once used by the old mansion on the grounds. Regualr family activities are always taking place and there are two tiny shops – one in an outdoor cupboard and the other in a boat. There's also a Tea Shed that's open on weekends throughout the winter months to help you warm those freezing fingers. Sir William Holburne was a navy man who travelled the oceans and harboured a sincere love for art. As such, he was able to collect unusual and rare pieces from all over the world. 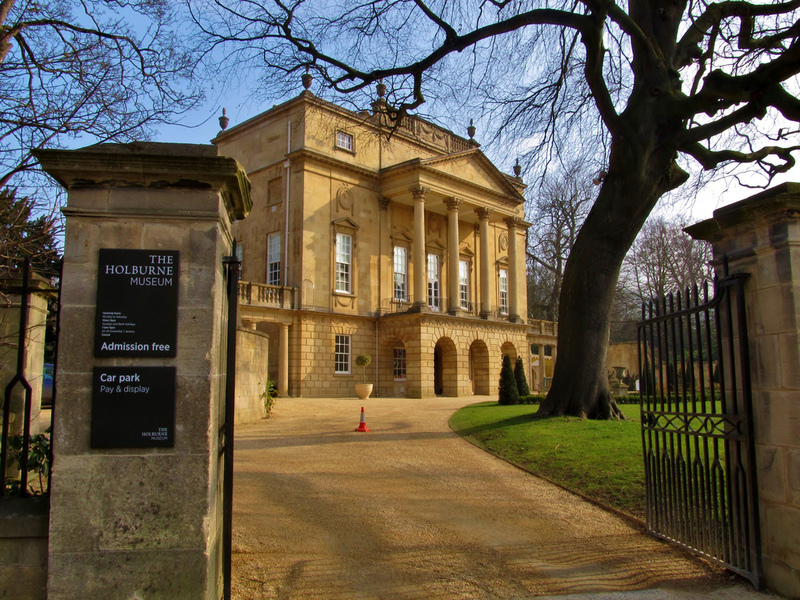 The Holbourne Museum houses his extensive collection of artifacts, as well as many other fascinating works of art ranging from Georgian oil paintings to sixteenth-century carvings and much more. One of Sir William's passports even survives to this day, displayed in here alongside his medals awarded for bravery in the Battle of Trafalgar. 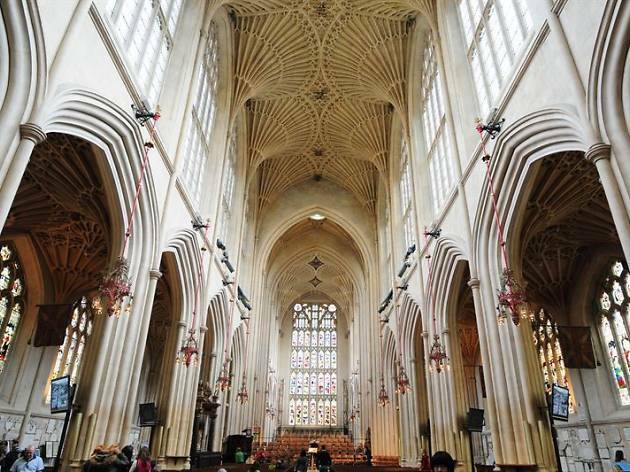 As soon as you walk into Bath Abbey, look up. The exquisite vaulted ceiling above is a feat of sixteenth-century architecture. The intricate pattern, which finely fans out from the walls, was created by Robert and William Vertue, who also designed the ceiling of the Henry VII chapel at Westminster Abbey. Don't look up too long and hurt your neck though; you can a tour of the towers which lets you stand above the incredible ceiling and takes you to the bell chamber for a peek behind the clock face. Whether you’re here for the spectacular Roman Baths, are a Jane Austin megafan keen to explore the town she made her own, or just to take in the city's many glorious architectural wonders and see some fine art, you won’t have to worry about finding good accommodation. 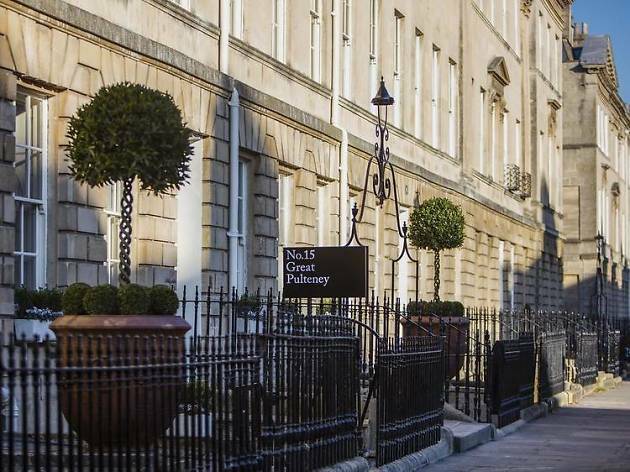 Bath has something to offer for all budgets and categories, from the delightful No15 Great Pulteney that's housed in a Georgian terrace to the exquisite eponymous hotel and spa located in the Royal Crescent. Looking for somewhere to stay in Bath?